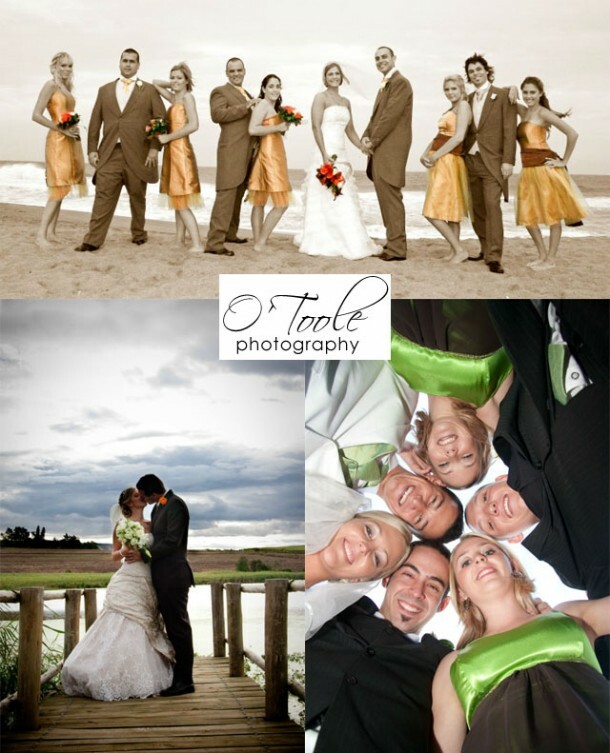 O’Toole Photography consists of two professional wedding photographers. Specialising in weddings, Jules and Luanne of O’Toole will capture your specialday in a most creative way. By having two Photographers at your wedding the creative shoot goes twice as fast and your entire wedding is taken from two different perspectives. In this way they manage to capture natural photographs as there is always one photographer that you are unaware of. Also by having a man and a woman photographer at your wedding both the bride and the groom can feel comfortable. Their package offers bridal preparation, ceremony, family and group portraits and a ‘creative shoot’. At the reception all the formalities, will be captured including cutting the wedding cake, the first dance, throwing of the bouquet and garter and plenty of candid shots as well as table shots. Get hold of Luanne and Jules on telephone +27 (0)32 525-8432 or mobile: +27 (0)84 708-7777, or visit O’Toole Photography for more info, photos or to send and enquiry.